And the day has come. Today I will be totally honest with you guys and I will be not holding back anymore. “Harry Potter: Hogwarts Mystery” will be the game that I will look today. You know that out there are games that have their flaws but right now we are looking for something more than a flaw. This game is here thanks to ( I am not sure that the word should be “thanks” but…) Jam City inc. And for the little of playing I was shocked, or how should I put it… disgusted. I know that there are a lot of Harry Potter series fans, but let me tell what I experienced with this… thing called “game”. Over the course of seven books, eight movies, and countless other adaptations, Harry Potter and his friends have defeated those who seek to use magic’s dark arts for villainy. 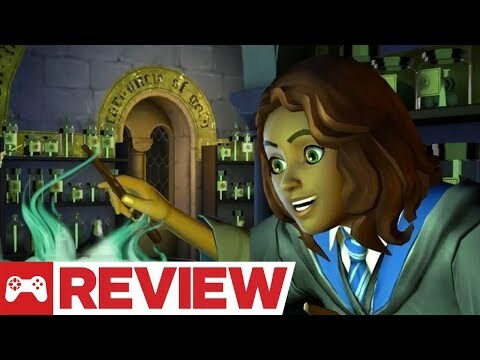 So when the mobile game Harry Potter Hogwarts Mystery was announced, touting the interesting hook of being able to create your own character and carve out your own path within J.K. Rowling‘s beloved world, I was immediately on board. But that`s all to it. In the beginning, I was excited to be able to enter the secret life of magicians. And the RPG element sure is a great thing in those kinds of games being able to form a character – gender, looks etc. Sure, the graphics were a little clunky and outdated, the voice acting from principal cast members was quite limited despite press releases to the contrary, and the “tap this thing a bunch of times to complete your objective” approach was pretty weak, but those shortcomings were easy to brush aside as the story rolled on. But after just about a half an hour of playtime today, microtransactions stopped my progress in its tracks. I understand that every publisher is concerned for the money they earn and it`s normal for games to have options to boost yourself with real money but there is always a way to do it without paying a cent. Of course with a little struggle but you can do it. This game is telling you a big NO! And there is nothing you can do about it. I was thinking to make some gameplay review, but I can`t because I didn`t pay to play enough to make some concessions. Good idea, but killed in the process. Pf, don`t know where to start… If there wasn`t a “must pay to play ” maybe this game could have a chance actually. Honestly, guys, if you are a big fan of Harry Potter and have the money to pay, maybe you will be enjoying this game. Otherwise, don`t bother!